There are two common types of coffee, arabica and robusta. Robusta is cheaper, but it lacks the complex flavours of arabica. Arabica is more difficult to grow, but is the premium coffee used by coffee gourmets around the world because of its rich varieties and flavours. When you buy coffee from Budan Beans, you only receive the finest Arabica beans. It’s not just the country the coffee comes from, but there are actually different coffee bushes, and it makes a difference. 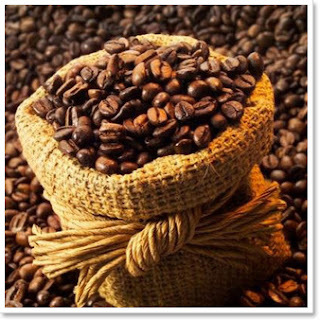 In short, there are two main species of coffee; coffee arabica and coffee canephora (often known as robusta). Not surprisingly given its name, arabica is the coffee of Arabia, probably the oldest coffee ever cultivated. It takes years to mature and is usually grown at high altitudes. Unfortunately, like most high quality products, it is not as easy to grow and produce as its cheaper cousin. 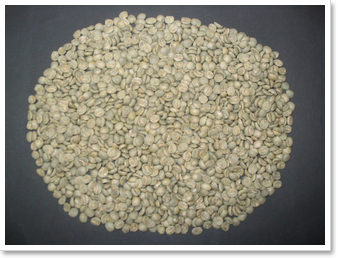 Robusta on the other hand is easier to grow, has a higher yield, and is more resistant to pests. On the downside, it is usually more bitter and often carries a dull, musty taste, which when blended can drown out the complex flavours of arabica beans. So why would anyone sell it to you? Well, it’s cheaper and it’s higher in caffeine. For instant coffee, that’s pretty much all that matters. But a persistent claim from proponents of robusta coffee is that it is the only way to guarantee lots of crema, the concentrated foam of coffee which forms on the top of an espresso. But they’re wrong. The truth is, adding robusta beans is the only way of guaranteeing crema, but only if the rest of the beans are getting stale after sitting on the shelf of the supermarket or coffee shop for weeks or months. Australia’s freshest coffee is our aim, and with the high quality beans that we source we don’t need cheap robusta beans to boost the crema. And if other coffee sellers didn’t try to convince their customers that coffee is okay to sit on the shelf for months at a time, they wouldn’t need robusta beans either. The image below shows our Brazilian Gourmet Blend, on our home machine, a Unic Diva. We keep ourcoffee in the same zip lock, valved bags which we sell to you, and the bag had been sitting on our kitchen bench for a few days. The result is a shot glass full of the good oil; creamy coffee goodness that is bursting with all of the complex flavours these beans can offer, and a smell to match. If you’re having difficulty replicating it, why not try our tips section to get the best out of your beans. If you want to try 100 per cent arabica, gourmet coffee, have a look at Budan Beans' freshly roasted coffee beans or try a sample pack. Our aim is to bring the coffee flavours of the world to our customers. But we also love to share our love of all things coffee with you as well. On our blog we'll keep you informed about coffee varieties, coffee roasting, and running a coffee shop or espresso bar. You can also visit our online coffee shop where you can subscribe to our regular newsletter. Are your beans strong? Or just over roasted?